The weather has been teasing us here in Portland. We actually had a day this week where the temperatures hit 80 degrees. Strolling through the park with the dog in tow made me long to pull out the ice cream maker but I wanted to make something that would be kind to my waistline. This is a light and healthy dessert that’s sure to impress. 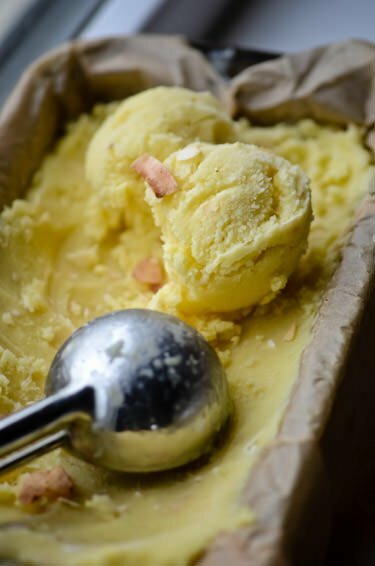 This pina colada sorbet couldn’t be easier to whip up and tastes indulgent thanks to the addition of the coconut milk. 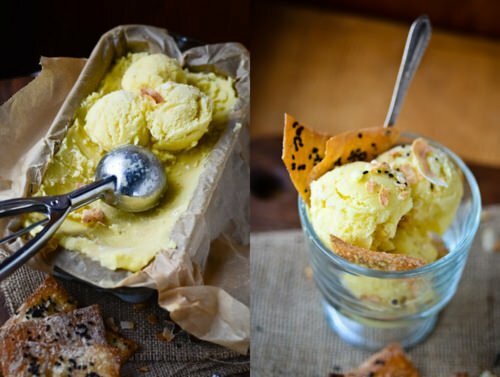 If you are looking for a vegan alternative to ice cream this is the one to try first. 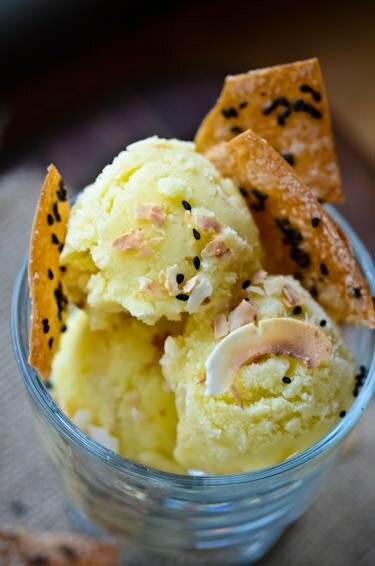 The sesame crisps are super simple to make as well and pairs nicely with the sorbet. Click the link below for the full recipe!